WIS & DRT at INDEX Geneva-WIS Consulting Ltd.
INDEX 2017，worlds leading nonwovens exhibition, was held from April 4 to 7 in Geneva, Switzerland. 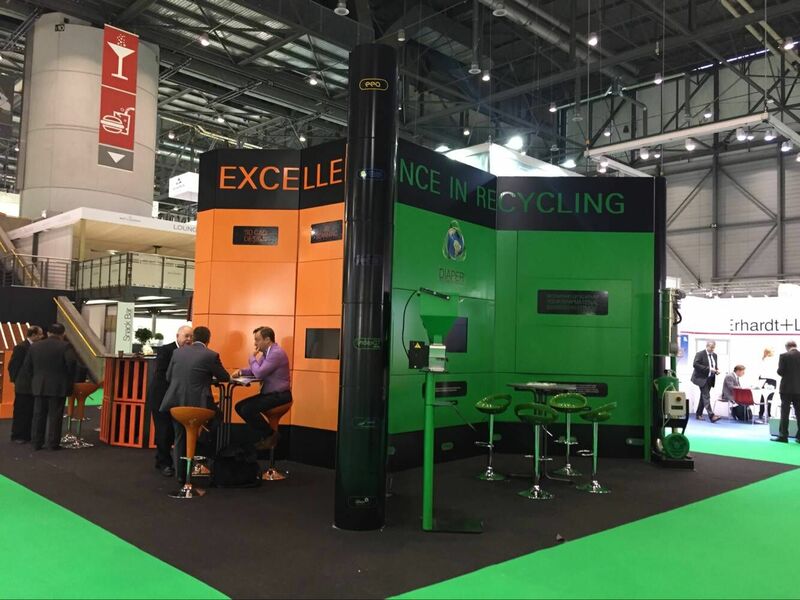 Diaper Recycling Technology joined as an important exhibitor. WIS Consulting Ltd. received the invitation from DRT to attend as its business partner. Cherry Yang participated the expo representing WIS Consulting Ltd. to have a further cooperation. Diaper Recycling Technology presented the latest updates in its multi-award winning technology via their Generation 7 equipment platform. Some of the upgrades include expanding its technology range allowing customers to meet both their environment and financial targets irrespective of their factory size. Newly developed generation five and six technologies encompassed processing solutions capable of processing between 100 – 150 Kgs per hour, while the total technology solutions to be presented at INDEX encompass solutions from as low as 50 Kgs per hour designed specifically for factories with just one or two convertors right up to large scale 1200 Kgs per hour systems aimed for larger factories. Generation seven updates include new patent pending technologies to reduce material damage and increase purity levels further as well as equipment improvements to reduce and eliminate manual cleaning efforts, increase process visibility for operators as well as increasing “bearing” life span and reducing maintenance requirements. Optional fire protection options that go beyond sprinkler technology have been expanded from Fire-Fly and now include both Fire-Fly and Grecon options. The specially developed low energy Diaper Recycling Technology allows customers to recover up to 87% of their raw material investment. This is achieved through reduced power consumption (starting at just 10 KW) and advance process capability to achieve pure raw material streams.The plastic stream is processed 400 times during the recycling process and is also polished allowing plastic re-feed back into pelletising systems for optimal re-use and re-sell potential. Also of significance, the Diaper Recycling Technology operates without buster fans meaning SAP quality is not compromised. After this expo, DRT confirmed to make further deep collaboration with WIS Consulting Ltd.